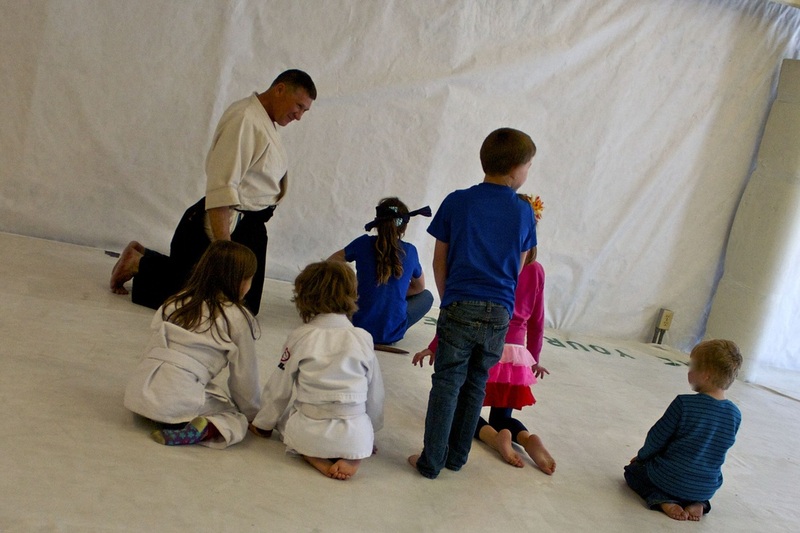 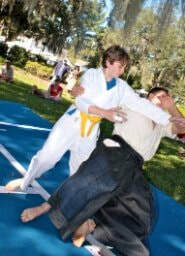 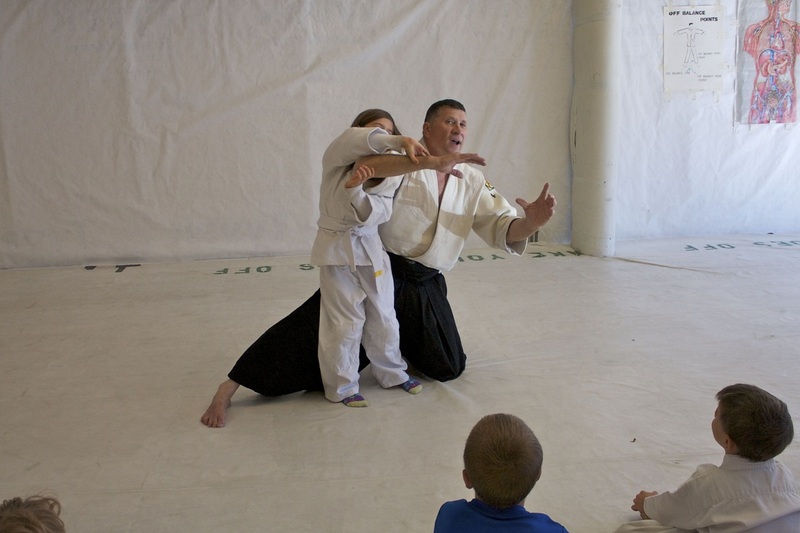 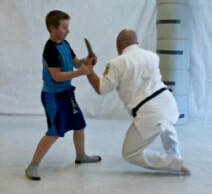 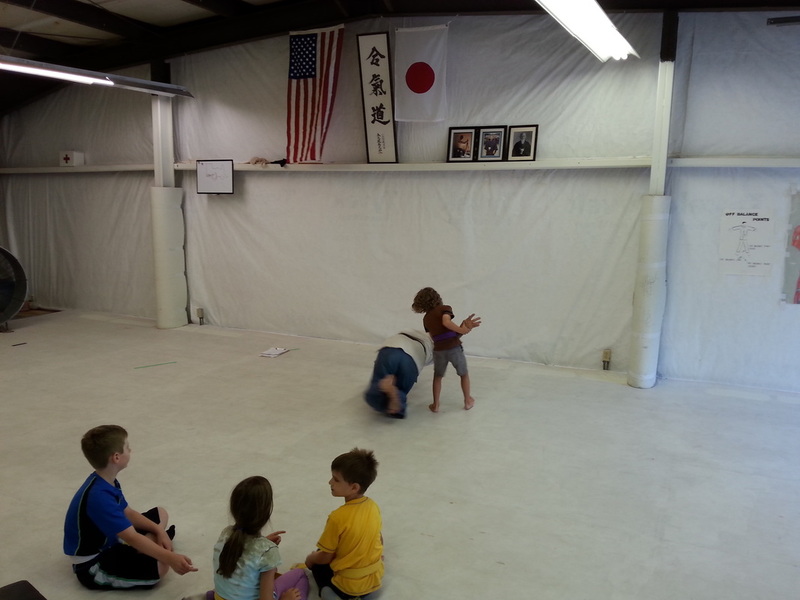 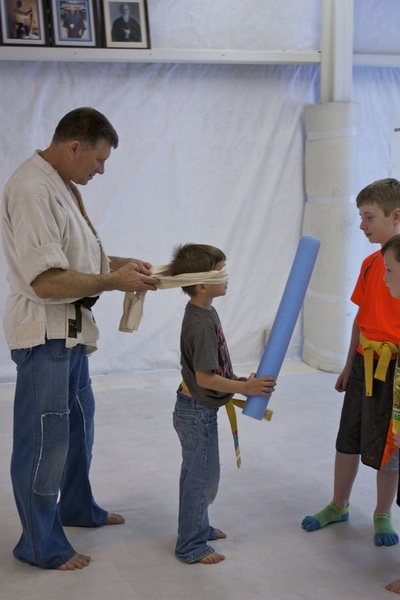 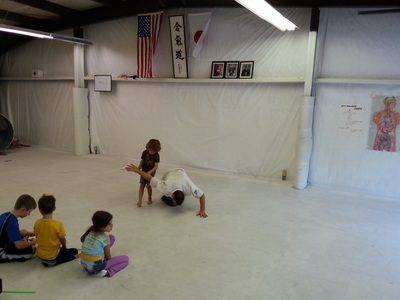 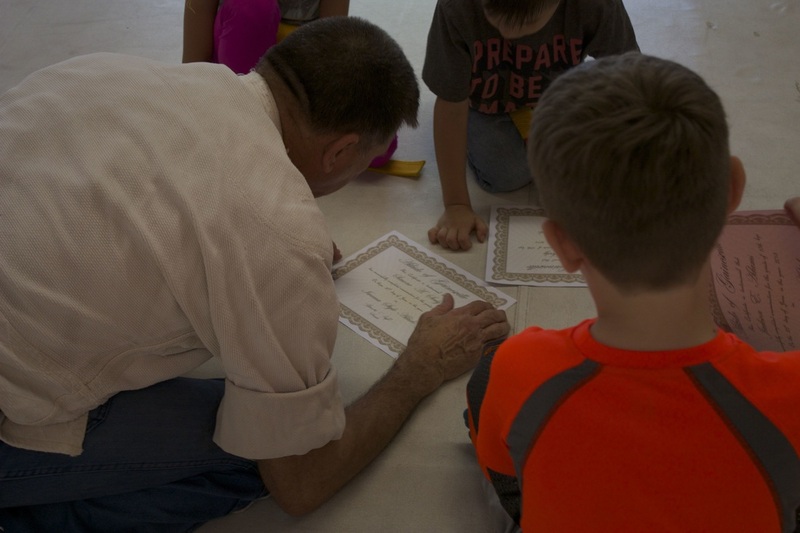 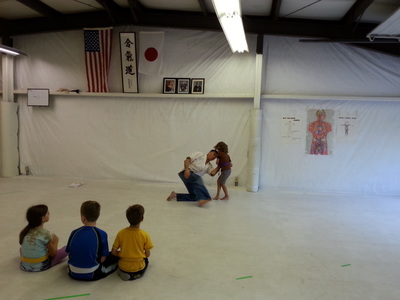 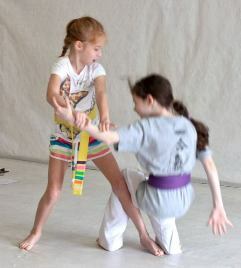 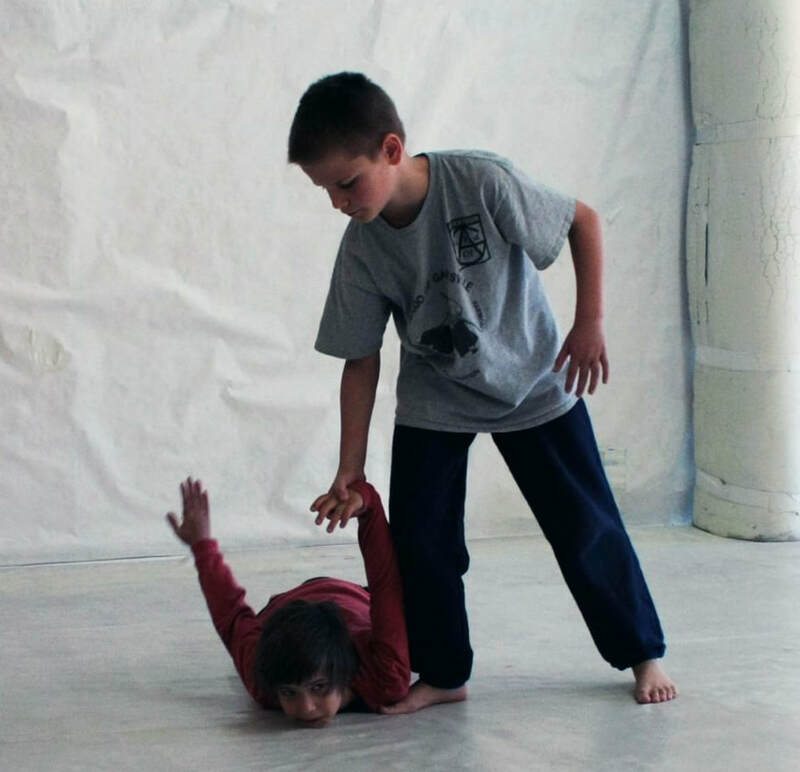 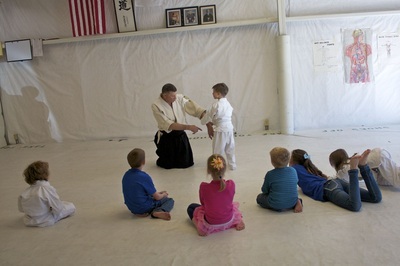 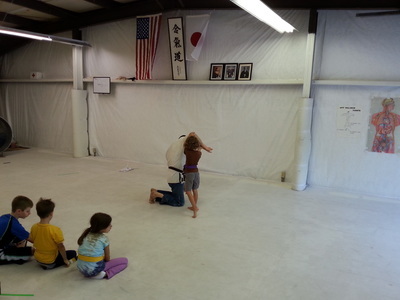 A Regular part of Kids Aikido is instructional games and promotions. Certificates and testing are never an additional charge! 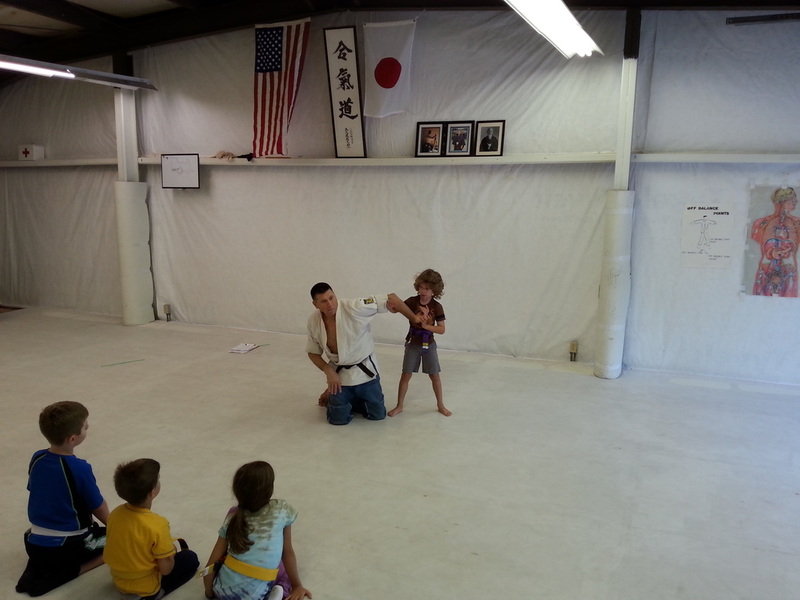 Sensei preparing a student for a game of 'Blind Swordsman" we call "Zatoichi" after the movie and famous tale. 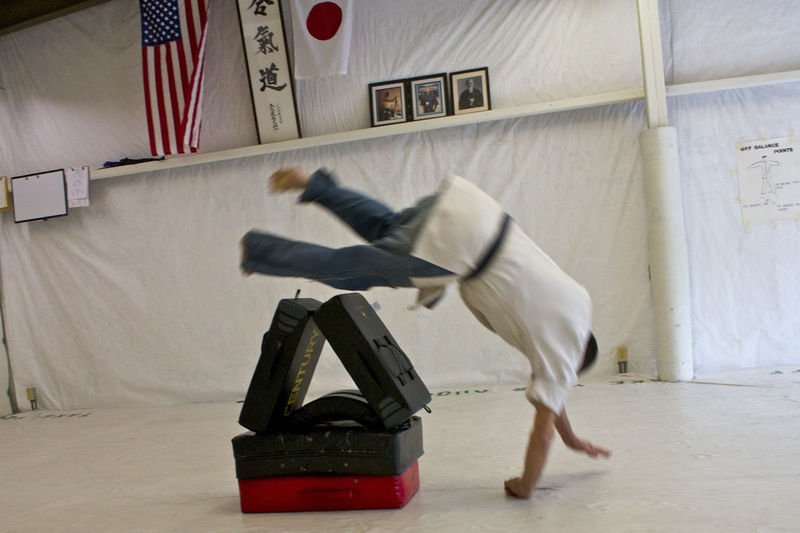 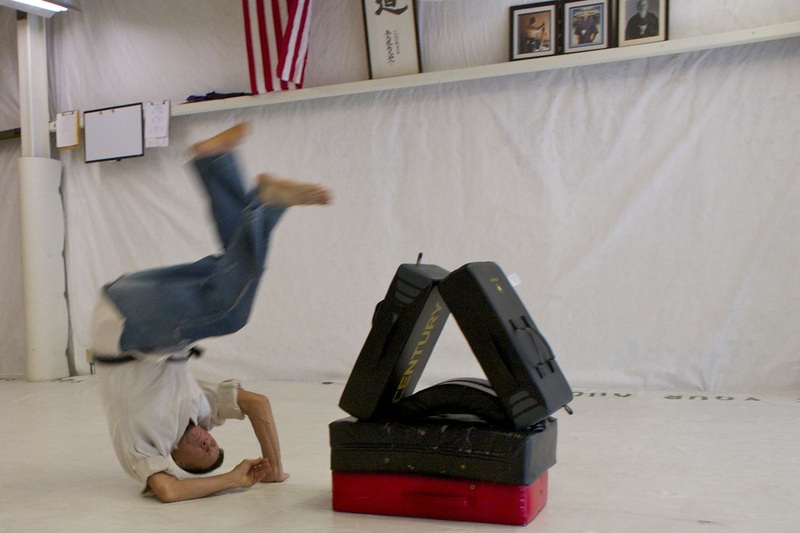 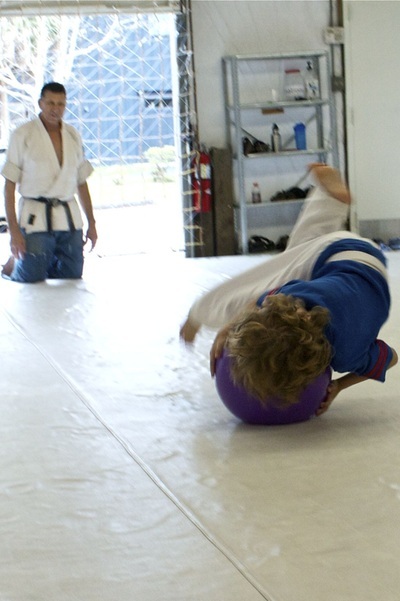 Rolling practice using 'Bull Dogging' method as Sensei experienced in California at Sunset Cliffs Dojo.